Currently our average delivery time in India is around 4 days and outside of India is 18 days. You will get an email and SMS with the tracking details as soon as the product is shipped. 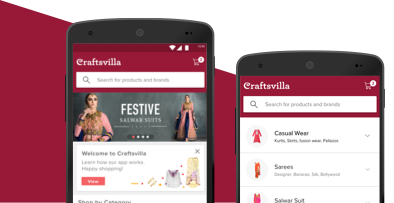 You can also track your order by logging into you Craftsvilla account. Just email us your complaint with order number within 7 days of receipt of the product. You can also login to your account and raise a dispute from there. We will pickup up the product from your doorstep if the pincode is serviceable. In case we can’t pickup, our team will reply to you with an email, containing instructions and return shipping address to which you need to send back the product within 10 days. Immediately after you make a purchase, an invoice with your payment details and a unique payment ID will be sent to you. In case of any issues, our customer care would be happy to help you. You pay through our secured Payment Gateway and all data is transferred through high level encryption technology. We guarantee your payments are 100% safe with us and the details are never shared with anyone during the payment process. Welcome To Craftsvilla- Your Go-to Destination for Latest Ethnic Wear! Dress To Impress Always In Ethnic Fashion. Versatile and graceful ethnic fashion is the kind of style where chic meets comfort. Traditional wear has always had a special place in the hearts of fashion conscious Indian women and men. 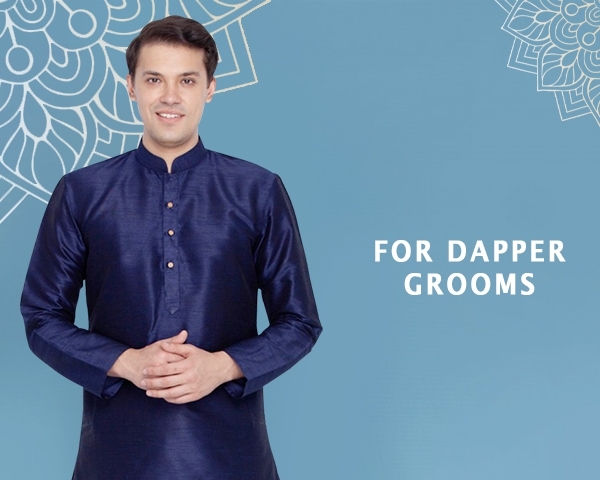 The best part about donning ethnic wear is its ability to evolve into something unique that will definitely make you stand out in the spotlight. 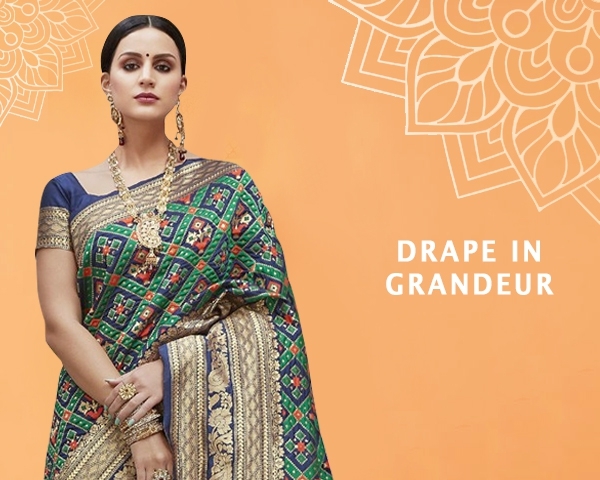 Not only does Indian ethnic wear speak the language of eternal grace, but it also takes you back to our country’s cultural and sartorial roots. This very school of thought is responsible for changing the face of ethnic fashion in India, especially when it comes to womens clothing. We at Craftsvilla are dedicated to taking India back to its roots by providing the very best of ethnic wear fashion that blends the virtues of tradition and the values of trends. Our dream is to build the biggest, trendiest ethnic fashion destination that makes online shopping as comfortable and easy as possible! 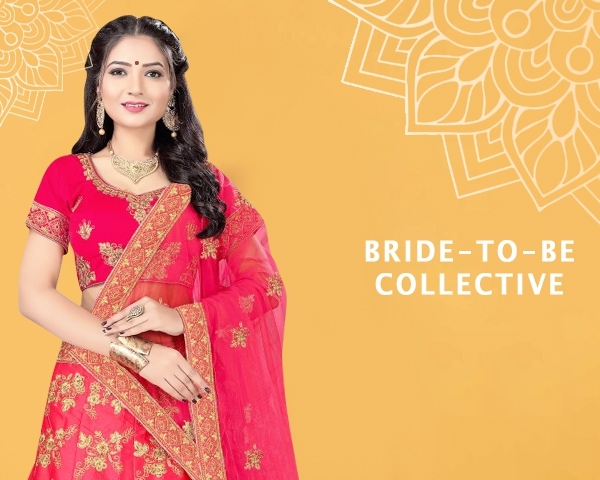 Craftsvilla’s ideology is based on offering various kinds of ethnic wear online that makes you fall in love with, at first sight and solves all your dilemmas when it comes to ethnic fashion. Latest Ethnic Wear India Fashion, Just a Click Away! The best part about online shopping with Craftsvilla is the fact that we strive hard to update our collections of trendy but traditional Indian wear with latest styles on a weekly basis. Download our app, explore the way you’ve always wanted in your closet and keep yourself updated with what is happening in the world of ethnic fashion. What’s more, keep yourself updated with best of offers and deals on various styles. Follow us on social media to get regular updates of our best offers, top trending products and many other engaging activities like give-aways, contests. Check out our blog, The Ethnic Soul that offers a variety of style tips and tricks to embrace the latest ethnic fashion in the manner that is comfortable to you. The collection of Gowns on Craftsvilla is an ode to fusion friendly fashion and perfect for all sorts of occasions. 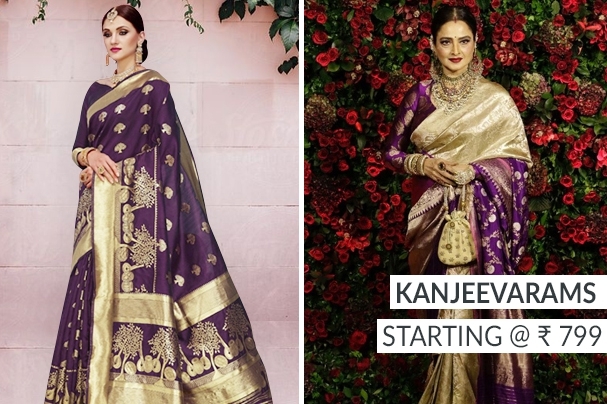 Take a peek at our newest and exquisite Saree collection that caters to every style need. 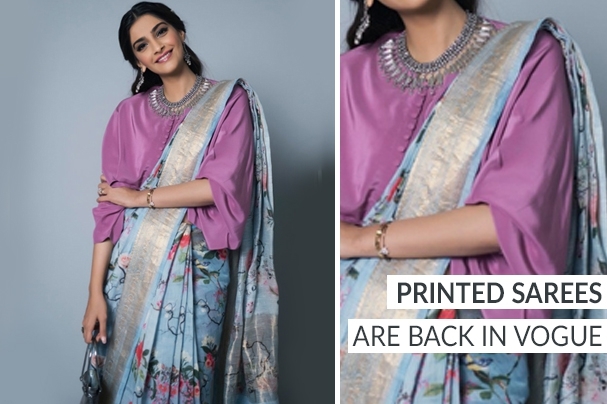 Our drape collection is quite enviable as it includes a plethora of styles including, Printed, Traditional, Designer Sarees and fabrics like Cotton, Satin, Art Silk and Georgette Saree. 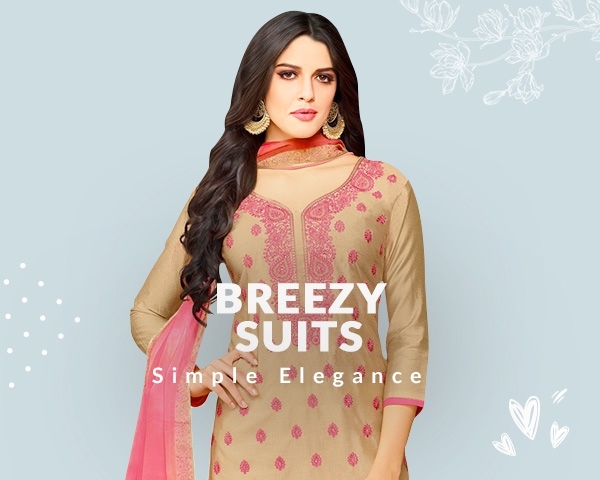 The garments and styles are such that they can be worn everyday and are also picture perfect for all those special festive occasions that you plan to attend. What a white t-shirt is to western fashion, a Kurti is, in the world of ethnic wear fashion. 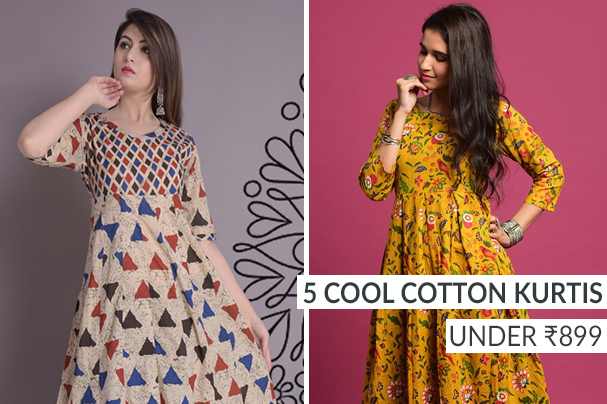 Consider it as THE fashion staple when it comes to traditional fashion and we at Craftsvilla, recognize the potential of a flawlessly trendy Kurti. As a result, our new and novel collection of these ethnic staples full of embellished styles, embroidered kinds and hues of every kind. Discover a world of such styles that will make sure you have a stylish year, no matter what the fashion season demands! Now, the world of ethnic wear doesn’t just revolve around Sarees or Kurtis. There are times when you need an ethnic ensemble that is not only trendy but also timeless in terms of style, splendour and a perfect fit for that special occasion. That’s where our latest range of Lehengas comes in! Make any occasion or festivity you attend a stylish affair by diving into a collection that is so vibrant that it will definitely take your breath away. From Net Lehenga Cholis to hip and happening co-ordinate Designer Lehenga Sets, we have it all! Ethnic wear ladies fashion would feel incomplete without Jewellery that makes an outfit shimmer and shine. Our collection of beautiful styles is a sight for sore eyes. Complete with traditional kinds like Silver, Golden Plated and Oxidised. Our collections of Earrings and neckpieces have something for everyone, right from statement making to subtlety sensational ones. There is a reason why we pride ourselves in calling Craftsvilla, the go-to destination for ethnic fashion. Just like weekly updated collections, is one of our strongest pillar of strength, so are the brands under us that make us trendy traditional. Craftsvilla hosts an exciting range of latest occasion wear. Some of the torch bearers of trending traditional outfits are Anuswara and Sutva, that specialize in classic staples as well as Gowns coupled with dresses, respectively. With these aesthetically strong brands, it has been a smooth journey for Craftsvilla.com to take flight and reach the dizzying heights of style success! So, even if you are an old-timer hnic wear, the doors of Craftsvilla are always open to one and all! Head to our website and app to be in sync with the latest trends of ethnic wear india online. Download our smart phone app to avail discounts and unbelievable prices on gorgeous ethnic wear fashion!